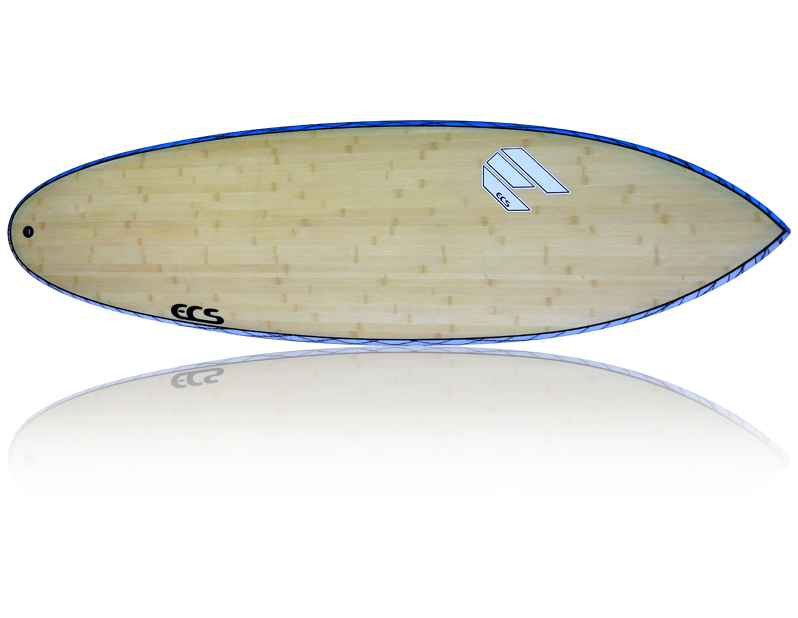 This board has been designed to be ridden in 90% of surf, a great every day board. Its high volume allows it to be ridden about 4-6 inches shorter than your regular board. Its a super fast, skatie and highly manervourable. A low consistent rocker for speed and ease of paddling. The board is shaped with a single into double concave allowing the board top get up and go and easy rail to rail transitions. A super fun board that can be ridden in 2 foot mush to a little over head. If you could have only one board in your quiver, this would be it. The V-Flex range is another unique ultra-lite EPS line of boards. These boards feature bamboo vacuum sandwiched to the deck with carbon vector net on the bottom. The V-Flex technology provides greater flex and drive whilst maintaining compression resistance. These boards are light, lively and responsive.